Every industry has its own jargon, and the IT field is no different. The only problem is, in order to successfully manage all the different parts of your business, you need to understand at least the basics, and to do that, you need to know the lingo. So, to help you out, we’ve compiled a list of 9 of the most commonly used phrases, words, abbreviations, and other types of jargon you will hear in the IT field, and we’re going to tell you what they mean. ISP: This stands for “Internet Service Provider”. This is the company that supplied your internet. It might be Verizon, Comcast, etc. It is important to know, because if your internet is down, these are the people to call. CPU: This stands for “Central Processing Unit”. You may have also heard the term “microprocessor” or different types of cores, such as “quad core” or “i7 core”. When you boil it down though, these all refer to the same thing- the brains of your computer. This is where instructions are gathered and processed, and then sent out to be performed. Server: Essentially, a server is a system that provides specific services across a network. Basically, if you have more than one person using a program at the same time, the server is what makes that possible. It houses the program in a central place and allows multiple people to access it. 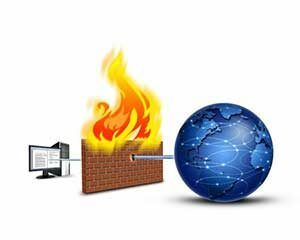 Firewall: Think of the firewall as the gatekeeper to your network when it comes to the internet. It will help protect bad things from getting in, and important information from leaking out. But only if you use it correctly. To learn more, read this blog post. UPS: This stands for “Uninterruptible Power Source”. A UPS will allow a computer that is plugged into it to safely shut down, even in the event of a power outage. In order to maximize protection for the computer, it is important to configure the power management software that comes with the UPS. It is a best practice to plug all of your machines into a UPS, and then plug the UPS into the wall. This helps protect your machines from getting fried by unexpected power surges and outages. Hard Reboot: To reboot your computer normally, you click on the start menu and hit “reboot”. But, sometimes, if your computer is frozen, your engineer will ask you to do a hard reboot. This is when you hold down the power button on the computer until it shuts off, then wait 30 seconds for the electrical charge to dissipate, before starting up the computer again. You really should only do this when your IT professional tells you to, because that means it’s the only option left. Browser: This refers to the type of platform you are using to get onto the internet. Internet Explorer, Firefox, Google Chrome, and Safari are all examples of different types of browsers. To help you determine which one to use, check out this blog post, Battle of the Browsers. VoIP: This stands for “Voice Over IP”. This term refers to a specific way of setting up your phone system, so that it is actually run through your computer’s network connections. Many companies these days are switching to a VoIP system for their phones, because it is less expensive than paying for phone and internet service. 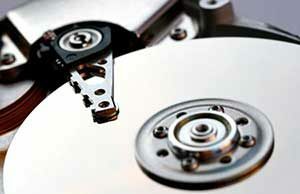 Defrag: This term refers to the process of defragmenting your computer’s hard drive. 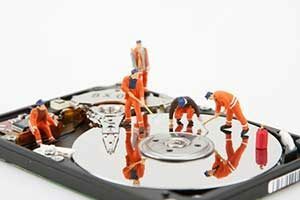 Essentially, this process organizes everything on your hard drive so that when you are trying to bring something up, like a program or a document, your computer will be able to find it much faster for you. It is one of the first steps to try if your computer is running slow. Each industry has its own specific words and phrases, but since those used in the IT industry are also found across every other industry (because IT is essential for every business these days), it is imperative to understand basic IT speak. No matter what you are doing, you’re going to need some form of IT, so make sure you brush up on the lingo! Do you have another IT word or phrase and you want to know what it means? Ask us in the comments!